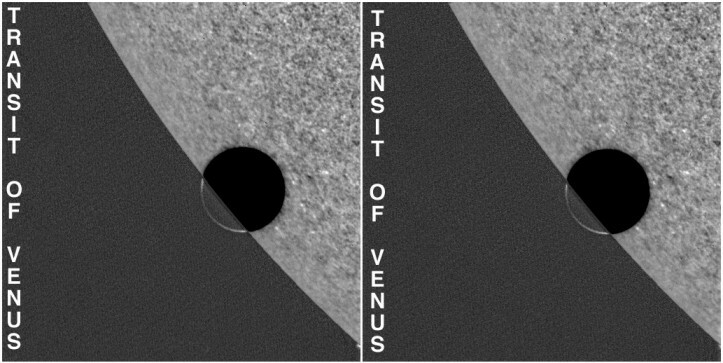 Explanation: Venus glides in front of an enormous solar disk in these two frames from the TRACE satellite imaging of the inner planet's 2004 transit. Arranged in a "right/left" stereogram, the frames are intended to be viewed at a comfortable distance from the screen with your eyes gently crossed, allowing the images to merge and produce a pleasing stereo effect. 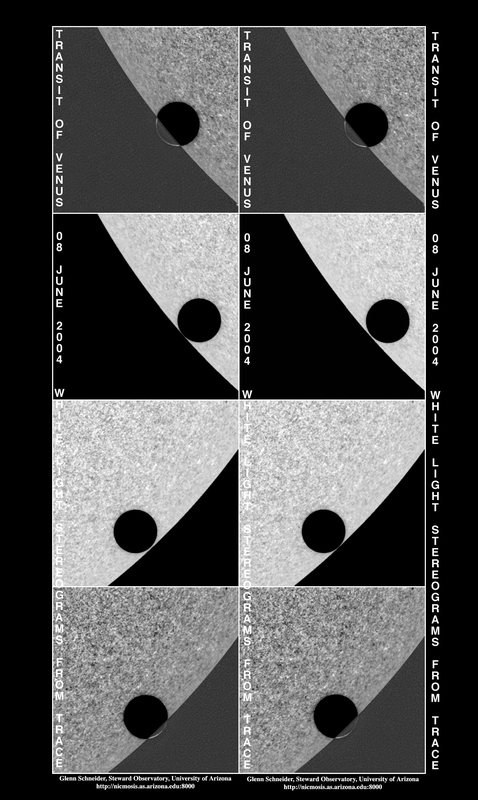 Shown during the ingress (beginning) phase of the transit, the silhouetted portion of the planet appears to float dramatically in front of the Sun's granulated surface. Of course, the dense Cytherian (Venusian) atmosphere also scatters and refracts the intense sunlight. The effect is visible across the portion of the planet still beyond the Sun's edge and viewed against the blackness of space.